Blessings on Your Journey Towards Healing. When I first shared my birth story, the process of coming out into the light and speaking my truth was a kind of birth in and of itself. 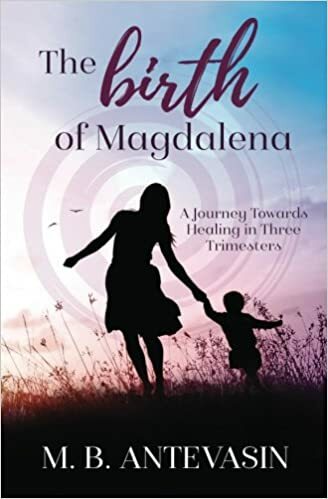 A few years after The Birth of Magdalena: A Journey Towards Healing in Three Trimesters was first published, I wrote “A Journey Towards Letting Go” about the journey that the book was taking as I learned to release it into the world, cautiously at first. As with all things, it spiraled through the phases of change as it grew larger than I had originally been able to dream. I was asked to create workshops for the professionals that work with survivors and women in the childbearing years. I was asked to speak my story in larger spaces that were far outside my comfort zone. And now my book is being re-birthed into a larger sphere with a broader reach. Although each new level comes with its own growing pains, I am both happy and sad, just like any mama who watches her baby grow and is at once proud and a little nostalgic for the last phase. But just as I learned with the births of my children, it is so much easier when you find the right team to support you. So I am re-birthing Magdalena with a new publishing and marketing team at Kat Biggie Press. I am happy to be guided and held by a group of amazing working moms who are helping me to create the new layout and cover design for the newly revised second edition. These women have made it their passion and their business to support authors as they share their stories of transformation, love, loss, encouragement and empowerment with other families. I am proud to be in such a powerful circle. As I write this update on the re-launch of my first book, I am also proud to share that I have just completed the first few drafts of the second book in what will soon be the Magdalena Trilogy. Magdalena Moments: Seven Steps into Becoming Your True Self takes you with me on the next phase of the journey as I share resources and inspiration for your own healing journey. In the first book I shared about my awakening when my world and everything that I believed was shaken. Now I have taken that call to action and walked the next leg of the journey with purpose and determination. Even on the hard days, I knew that I wanted to heal the old stories that had gone unspoken for too long and to break these patterns for my family. When I look at my kids I know that even when I don’t think that I have the courage to take another step, I do it anyway. Those are what I call the Magdalena Moments. I will take you through the seven levels of healing and transformation and show you how to squeeze these powerful changes into your real life while you are busy making sandwiches and reading bedtime stories. So please contact me at mbantevasin@yahoo.com or find me on facebook and let me know if you are interested in staying informed about how you can help with the re-birthing of Magdalena for this next big chapter in the story.